Located in the Mayakoba resort development at the Fairmont Mayakoba, Riviera Maya is near Playa del Carmen, a town opposite the island of Cozumel on the Caribbean coast of Mexico's Yucatan Peninsula. By car or taxi, the hotel is 40 minutes south of Cancun International Airport. 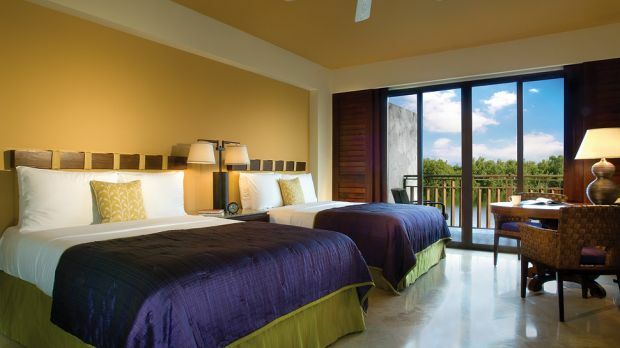 Your rooftop Bambu Suite at Fairmont Mayakoba, Riviera Maya feels like part of the scenery - and that's no accident. Through its huge windows, Caribbean sunlight floods every corner of the sleek space, which has separate living and dining rooms. From the infinity pool on the terrace, you can see the hotel's palapa roofs tucked among meandering canals and lush mangrove forests that kiss the white-sand beach. Part of a gated community, car-free Fairmont Mayakoba, Riviera Maya guards its environmentally sensitive location. 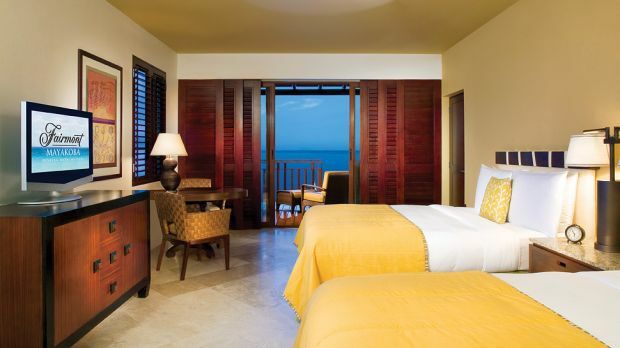 But its 401 rooms and suites offer guests every luxury, from soaker tubs to exclusive Fairmont beds. AAA Four Diamond Las Brisas and three other on-site restaurants serve sustainable seafood, while the adjacent Greg Norman-designed golf course respects the delicate coastal landscape. At the Willow Stream Spa, décor and treatments pay tribute to the local Mayan culture. Book a massage after visiting the splendid nearby ruins of Chichén Itzá. 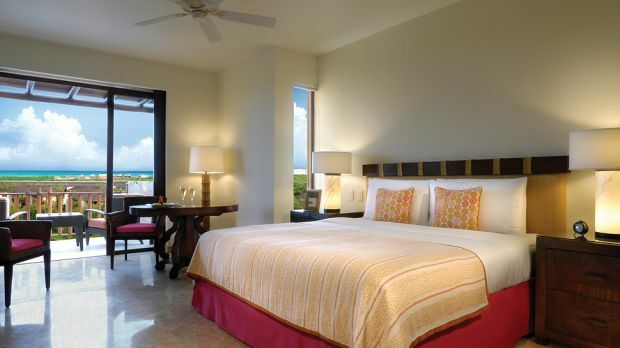 Send an availability request with your requested dates to the Fairmont Mayakoba, Riviera Maya.